In 1874, Liberal MP David Mills introduced a motion in parliament seeking to change the senate into a politically active house of the provinces. Election went along with this mistaken idea. As F.A. Kunz stated in his 1966 contribution to the Government of Canada series, The Modern Senate of Canada, this would not be the last time these two fundamental flaws in the understanding of the nature of the Canadian Senate and federalism would be championed. Bert Browns running in an illegitimate election against the Earthbound Extraterrestrial Society in 1997 and Link Bayfield declaring more recently that as an elected senator he would be accountable to his province are only a couple of the more absurd incarnations of that argument, which was presented more respectably in Robert Mackay's the Unreformed Senate of Canada in 1926. Stephen Harper cited Mackay last fall before a Senate Committee concerning Bill S-4, a bill which would reduce the independence of the Senate from the prime minister's control by reducing tenure to the insignificant. But the Senate must not be about building firewalls and Senators should not be reduced to the status of backbench MPs subject to party discipline. The Senate is a philosophically conservative institution intended to provide a check on the excesses of partisan elected politicians in the Commons, meaning particularly in the 21st century the prime minister and cabinet. 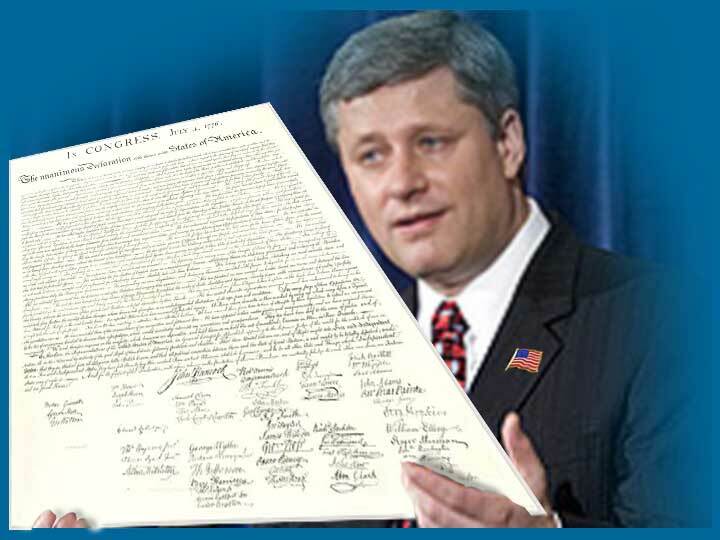 But that is lost on a government which sees as its ideal the executive power of a president and an Upper Chamber designed to jealously pursue the divisive parochial interests of state or provincial "rights"; indeed, "Canada's New Government" patterns itself after 1776 not 1867. Tories from both eras must be turning in their graves. Canadians in the present era may well learn that democracy, parliamentary democracy, and national unity are being betrayed by "Canada's New Government."